Pedal for People 2014 was fantastic! 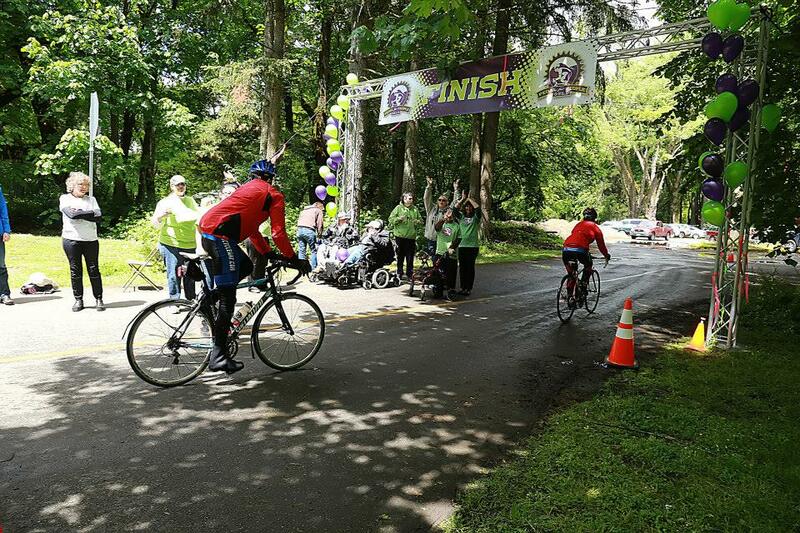 While it was certainly classic Oregon weather, we still had 112 awesome riders, and tons of supportive fans along the route, at rest stops, and at the finish line. ​Sincerest thanks to our excellent riders and teams, volunteers, and sponsors for 2014! 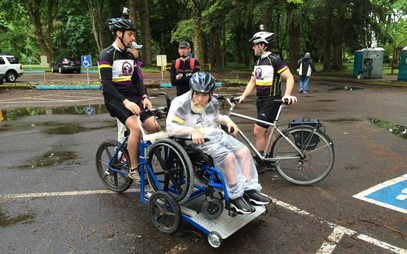 David and Sam make a fantastic team on their amazing adapted bike! The route is full of gorgeous sights, including a covered bridge. Crossing the finish line always feels great especially with a cheering squad.